I’ve often told my clients that Hollyglen, a small pocket of Hawthorne that sits west of the 405 and north of Rosecrans, is a great alternative to Redondo Beach and Torrance. It’s long been somewhat of a secret and even locals hadn’t heard of it. One of the key things that changed that was the advent of the Wiseburn School District, a highly rated charter school system with very high test scores and some of the nicest campuses in all of the South Bay. I’ve always liked Hollyglen as it has a very “West Torrance” type of feel with tree lined streets, homes that are well kept and updated, schools and parks within walking distance and a somewhat private feel due to the location. Another aspect that makes it even more appealing is the proximity to freeways, major employers including Mattel, Chevron, Northrup and a number of other aerospace companies. Recent home prices indicate that the secret is clearly out. 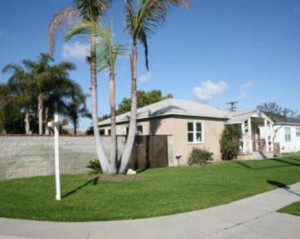 What had recently been a lower priced alternative to Torrance and even north Redondo, now is priced at similar numbers. Recent sales show that the target prices for sellers is around $700 for an entry level single family. There are occassional “deals” but those often receive multiple offers and end up well over list price. Most homes in the neighborhood range between 1100 sq ft and 1400 sq feet with 3 bedrooms and 2 baths. Most have been nicely updated but still have that original beach bungalow charm. To learn more about the wonderful “secret” neighborhood of Hollyglen, contact us or click on the link above to see pictures, details and the current listings in this South Bay neighborhood.